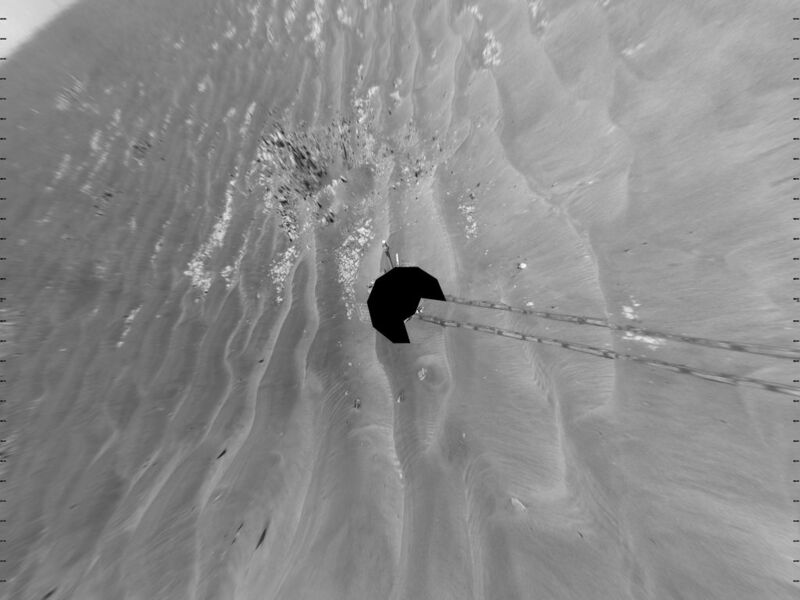 NASA's Mars Exploration Rover Opportunity used its navigation camera to take the images combined into this 360-degree view of the rover's surroundings on the 1,950th Martian day, or sol, of its surface mission (July 19, 2009). North is at the top. 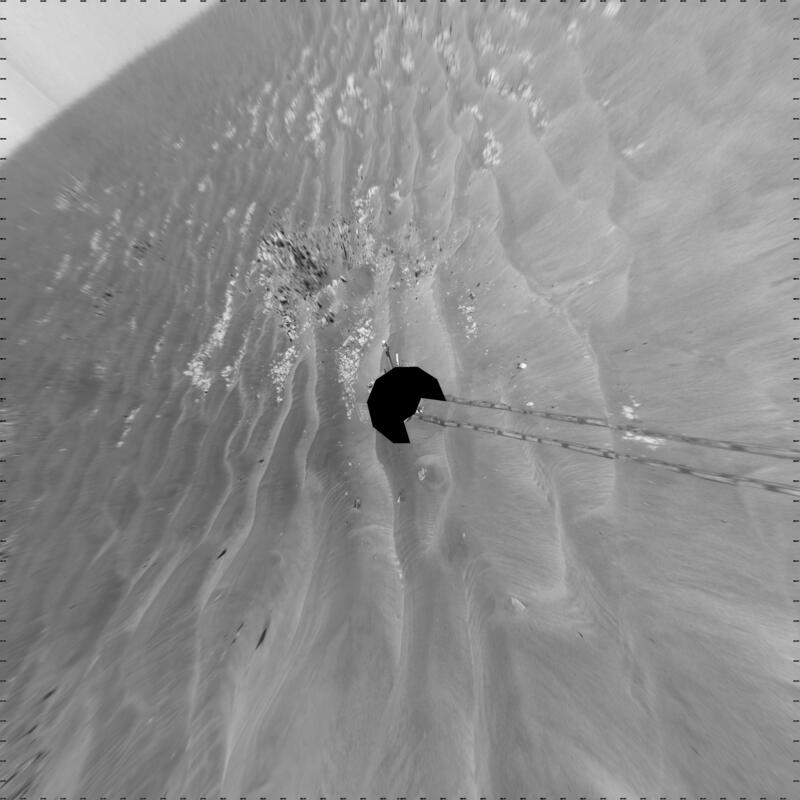 Opportunity had driven 60.8 meters (199 feet) that sol, moving backward as a strategy to mitigate an increased amount of current drawn by the drive motor in the right-front wheel. 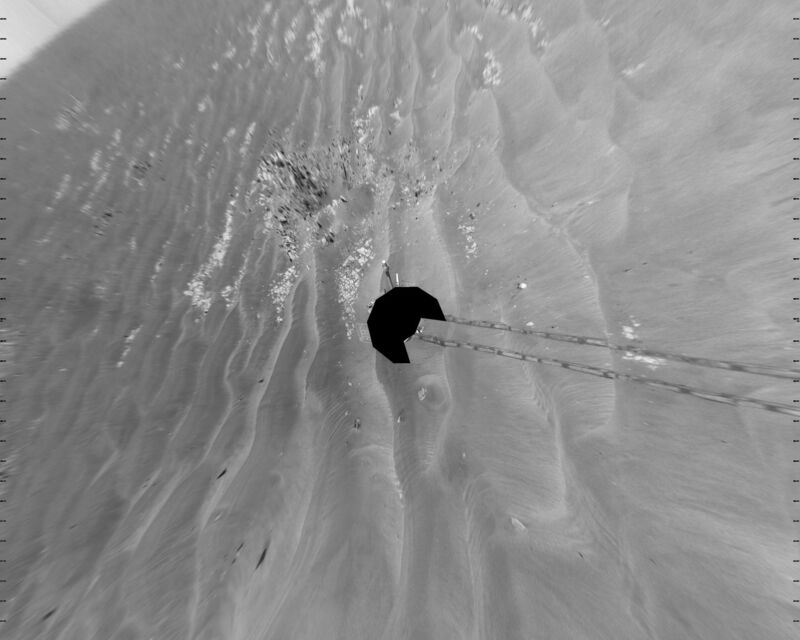 The rover was traveling a westward course, skirting a large field of impassable dunes to the south. Much of the terrain surrounding the Sol 1950 position is wind-formed ripples of dark soil, with pale outcrop exposed in troughs between some ripples. 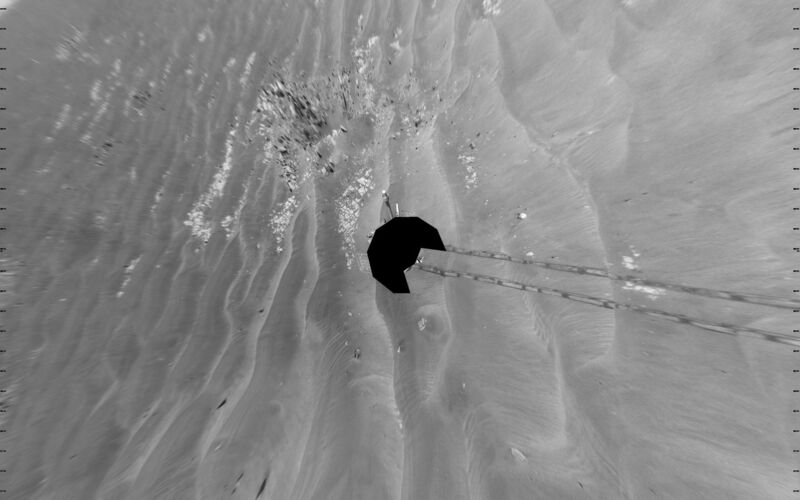 A small crater visible nearby to the northwest is informally called "Kaiko." For scale, the distance between the parallel wheel tracks is about 1 meter (about 40 inches). The site is about 3.8 kilometers (2.4 miles) south-southwest of Victoria Crater. This view is presented as a vertical projection with geometric seam correction.